I make my plugins for free so please leave a command. You can go to the Images to see the GUI. Why: This plugin is made that you players have an easy Trash cane. 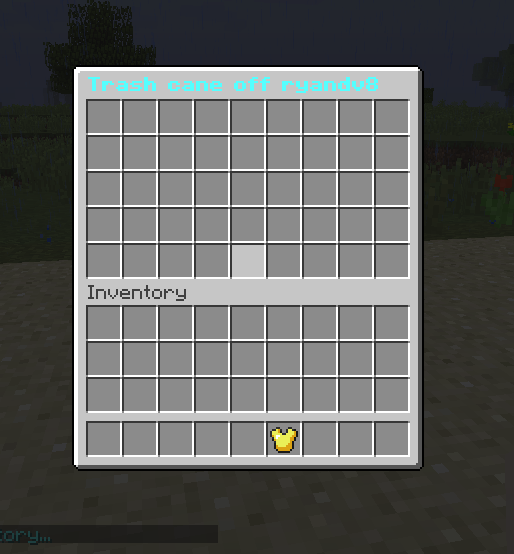 What the plugin does: When you type an command it will open up an GUI where players can put there items in and when they close there inventory it will be gone. This plugin doesn't required anything. is it actually a cane or do you not know how to spell can? I am from Belgium so you are right I don't know how to spell it.